This is one of my favorite meals and it takes hardly any time to make. 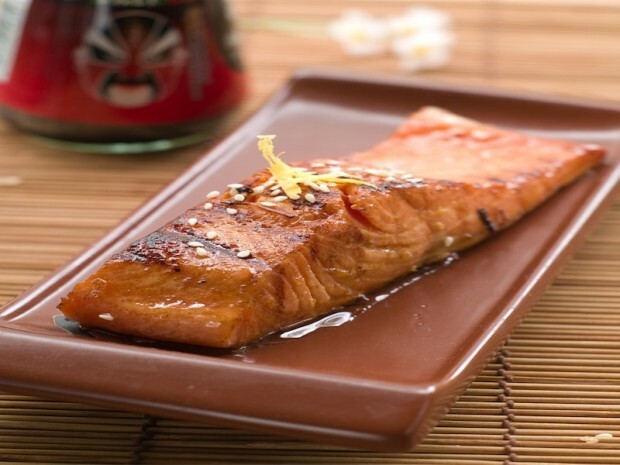 Whisk together a simple marinade, let the salmon hang out in the marinade for 30 minutes, and then either grill or pan roast it for a simple supper. Tastes great hot or cold and makes terrific leftovers. 1. Whisk together all of the ingredients, except the salmon, in a small bowl. 2. Add the marinade and salmon to a non-reactive container or Ziploc bag. Marinate for 30 minutes. 3. Grill or pan roast for 4 minutes per side until the salmon is cooked through and flaky.